They sure dont tour much. Very good start. TAB1 may not be the most innovative record, but the band possesses musical chops few bands can rival. Simply an adreniline charged guitar driven dirty rock n' roll record of the highest order. Good choice with Santana, though I think "Caravanserai" was a creative peak for him that he's never come close to re-attaining. Santana does not really need a long introduction like many o f the lesser known artists out there. He is notorious for his long carrear, wealth of different band members, and Latin RocknRoll. 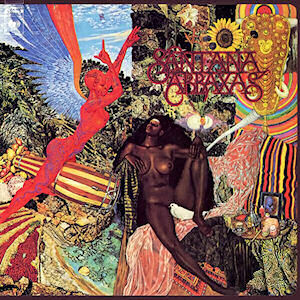 Abraxas is his second album that follows his first self titled "Santana" release. The big difference that sets Abraxas apart is its song structure. While there are still long jams and the big band sound, songs are more formulated making the replayabilty much higher. My favorite aspect of this album is its (as previously mentioned) playability. Songs flow very well into each other and make for a great album experience. This is by no means an attempt to produce singles or standout tracks but one long latin masterpiece. The track listing above includes live track's and bonus tracks that were added when Sony remastered this album in 1998. If your in it for the quick download listen this is your best bet. If you are looking to get a foot in the door when it comes to Latin rock or Santana in general, then this is definitely a good place to start. I recommend for the real experience spend the extra 10 dollars and go with the vinyl. Regardless of me being a big vinyl pusher I think an old album like this sounds good with a little crackle and pop of the old style sound. P.S. * Abraxas probably has the best album cover ever. I dare you to find a more psychedelic work. It's great to see some love for Santana, he's such an underrated musician. This is one of my favorite albums ever, and I rarely hear it mentioned. Checked out the Orgone cd. Very Very good. Kinda reminds of Soullive except better. Atomic Bitchwax good but too unproduced for me too raw. Sounds like that music that your suppose to like cause you like music and the musicians are talented. But somewhere in there they get too ****y and liberal and it all just turns to ****. Sorry too say I dont think I would put in the top 25 but thats jus me. LIke it though would buy it. Released in 2001 by Private Label? Pleasure Is Our Enemy is not your typical album that would be thrown into a top 25 list. Scratch that, a top anything for that matter. The mastermind of Cire and now Emptyself is Eric Johanson. This particular album (the first of 3 that Cire has released thus far) was done while he was under 18; no one is really sure how young. I bring this up not to amaze you, or make him sound special but to explain the low budget recording, lack of advanced multi-tracking, and overall rough sound (mainly vocals). So if your expecting a well polished masterpiece done by an experienced musician, with recording and sound quality to match then leave this thread (or preferably wait till my next entry). PIOE is a borderline progressive rock guitar driven album While some songs not being as consistent, the majority of the album is full of wonderful melody's, rhythms, and progressions. Another large part of this album is the standard rock guitar solo's in many of the tracks throughout. Not surprising the best tracks seem to be almost led by these solo's, and sometimes even overshadow the rhythms. I suggest if your are wanting to quickly listen to this band you should start with a few key songs. Fleas, Domestic, and Dica have always stood out for me being some of the heavier more noticeable tracks on the album. Lastly keep in mind this album sounds NOTHING like the next two Cire alums, in which were recorded much differently and had the vocals revamped. I have a feeling most responses will be "this was terrible" or "to under produced". To that I will say this, not all music is a first listen then love type of experience. These songs are not meant to be catchy, have no major hooks, and actually contain lyrics that if you take the time to understand them will move you. On the other hand if you really like this album tell me, so I can refer you to his other solo projects and second/third Cire albums. Last edited by Dr_Rez; 01-21-2009 at 03:34 PM. I listened to a few songs off of there. I liked what I was hearing. I want moooore still! 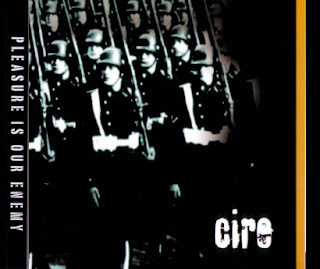 More Cire? Because not to brag for them but the second album Adrenological is incredible. Maybe even better than this. This sounds interesting enough. I generally like first albums are followed by a change. Yeah I liked the material off of the album you posted. Why didn't you post "Adrenological" instead of P.I.O.E if it's so incredible? Anyway I think I'll give that a listen to as well I'm starting to like there stuff. To be honest I dont know. It may be because this album got me into the band so I am partial to it. And who knows, maybe that album will come up later in this countdown.